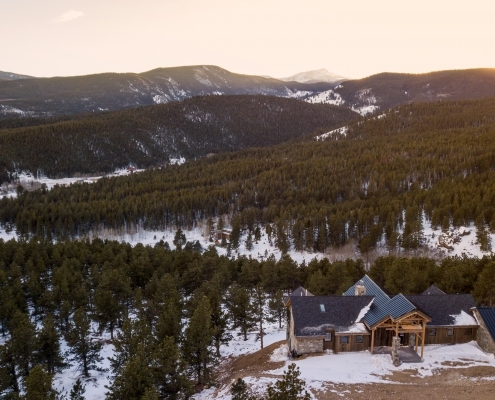 Caribou Ranch was first homesteaded in the 1860’s and has been a working cattle ranch, guest ranch, movie location, Arabian horse ranch, and a private home. 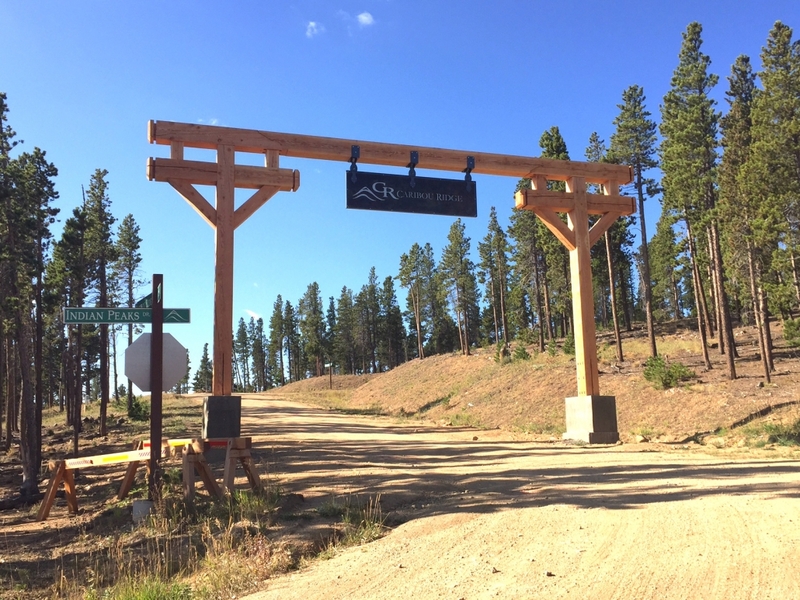 Included on the Ranch property are the remnants of silver mines and ghost towns as well as the world’s largest privately-owned waterfall. 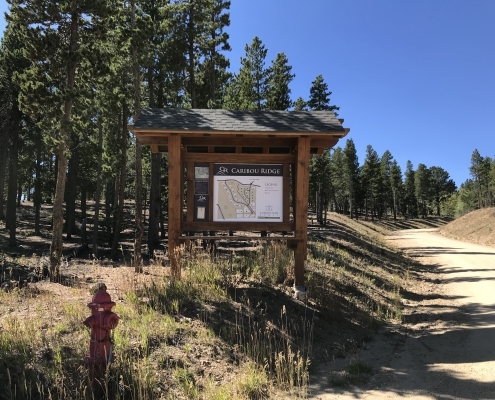 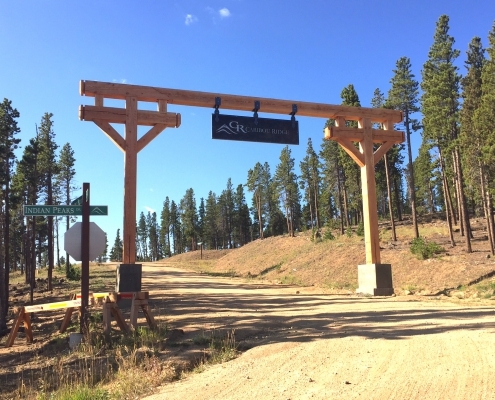 While the Ranch operated under many names since the pioneer days (Tucker Ranch, Lazy VV Ranch, and others), the Caribou name was restored decades ago as a tribute to the miners, horsemen, farmers, cattlemen, and settlers who helped shape the destiny of the region, leaving behind the wilderness that, today, is Caribou Ranch. 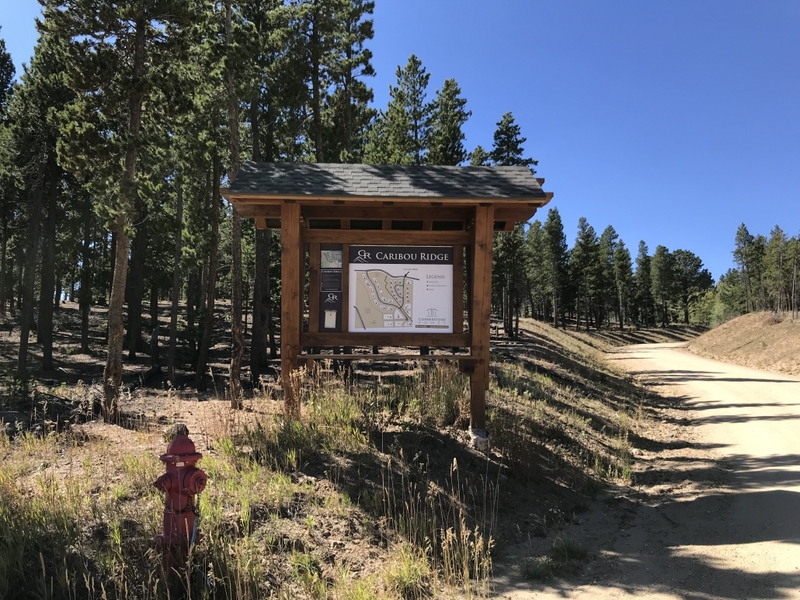 In 1971 twenty-six year old music producer Jim Guercio purchased Caribou Ranch and started the renowned Caribou Recording Studio. 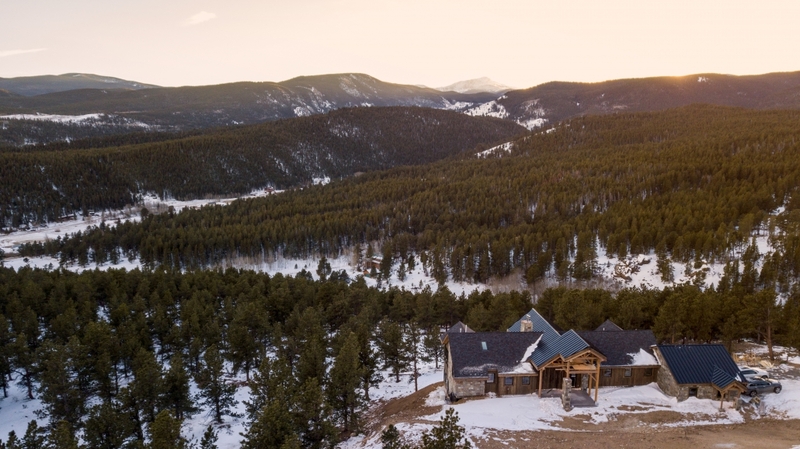 Caribou Ranch was the first of the “destination” recording studios where rock legends like Elton John, Chicago, John Lennon, Rod Stewart, Amy Grant, Kris Kristofferson, Phil Collins, Stephen Stills, The Beach Boys, and many others came to record. 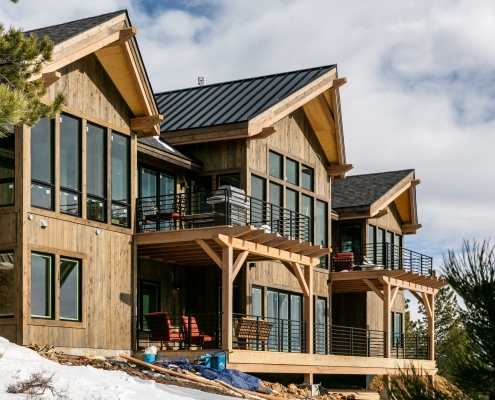 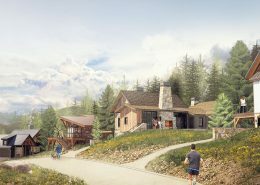 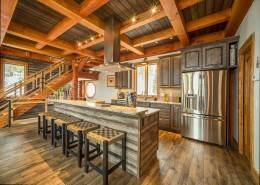 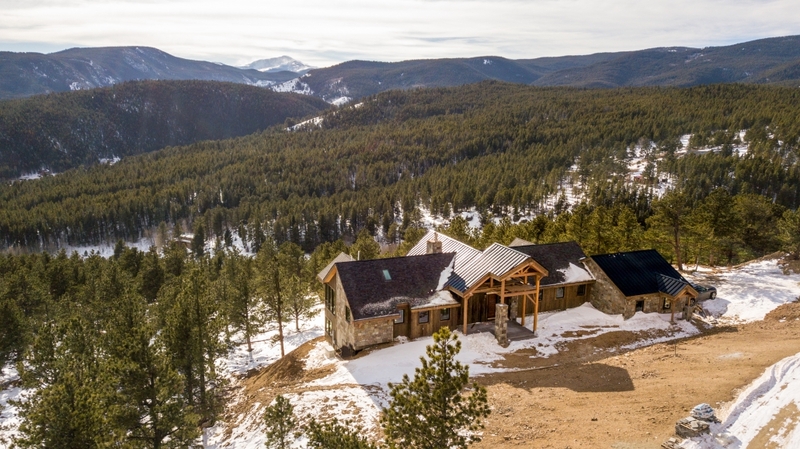 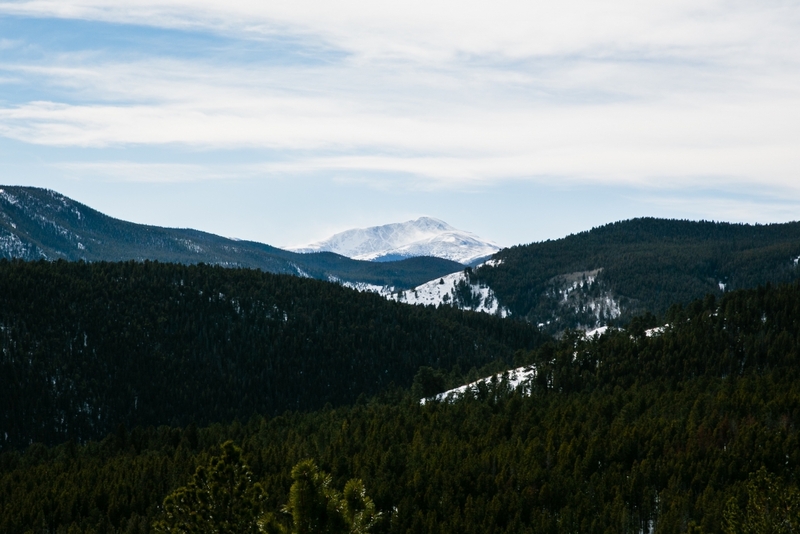 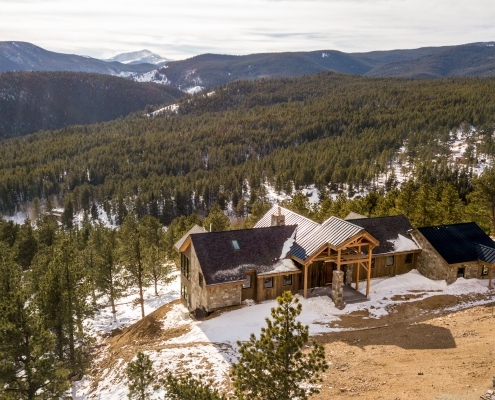 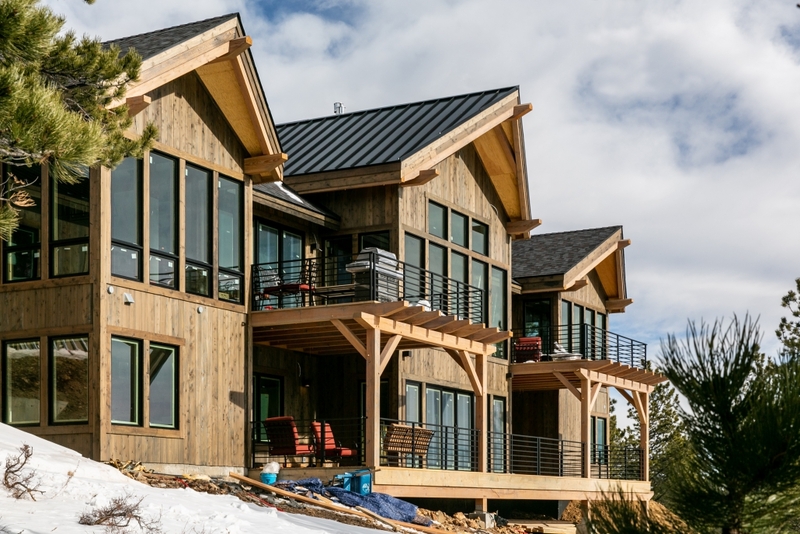 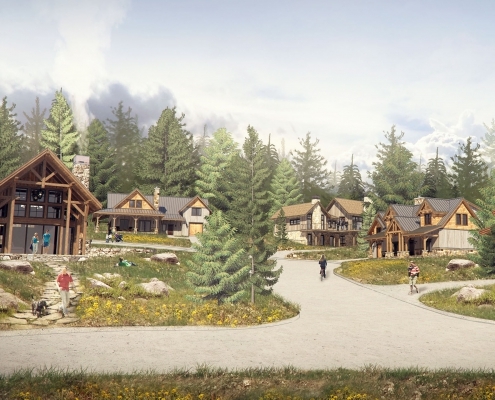 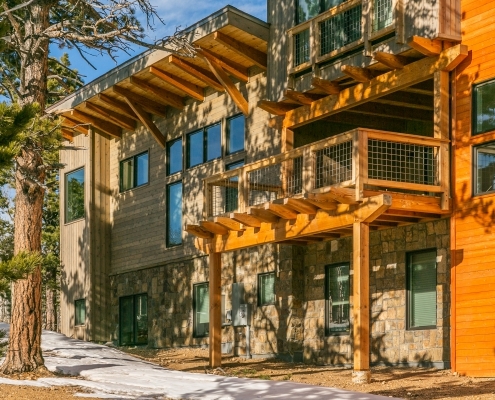 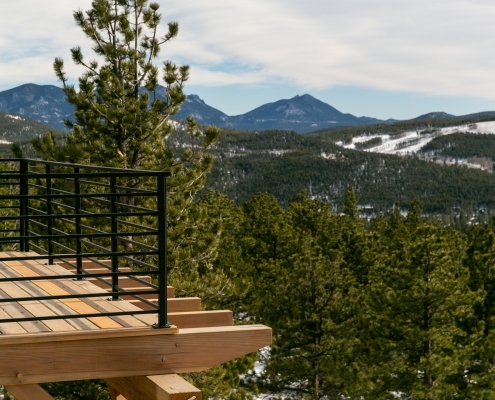 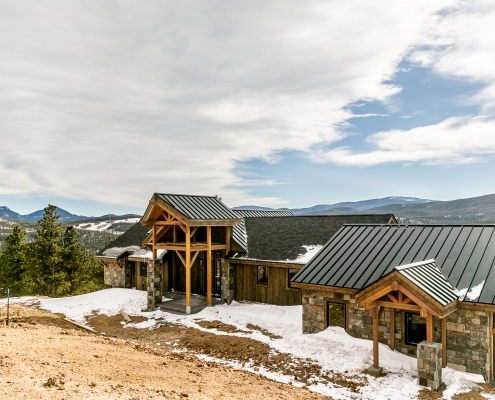 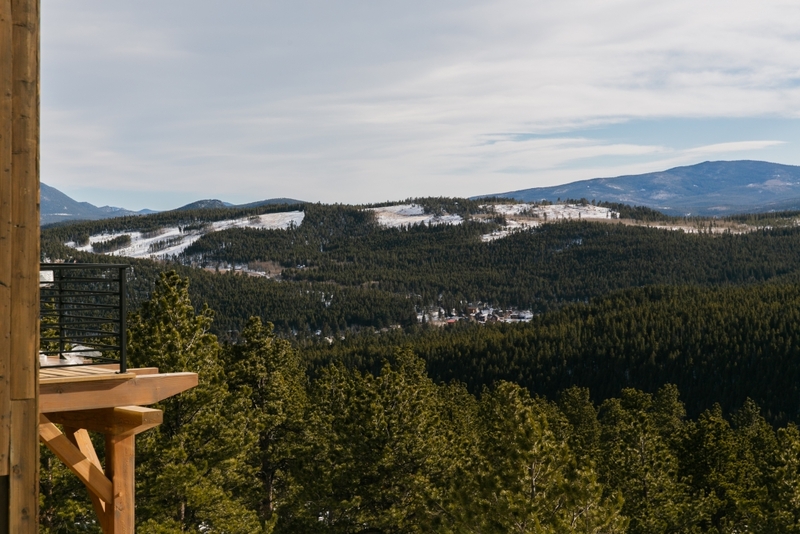 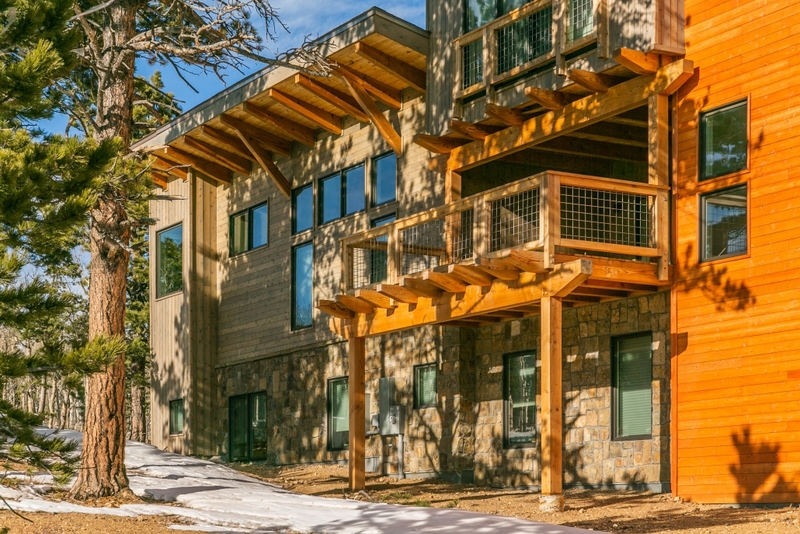 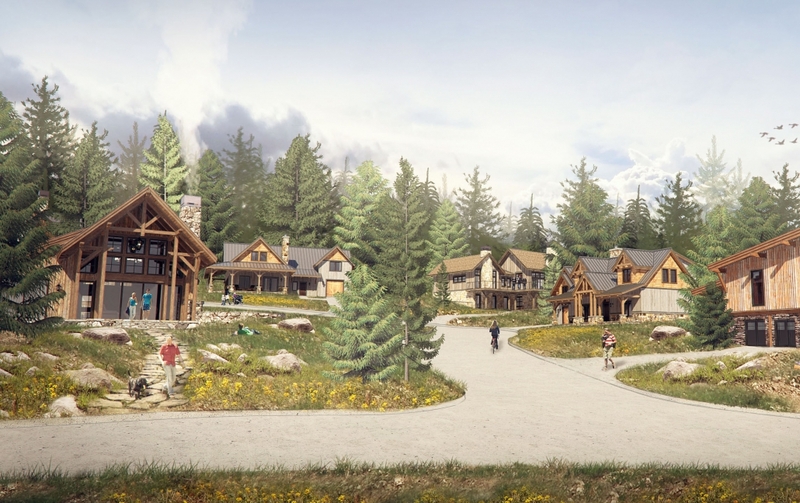 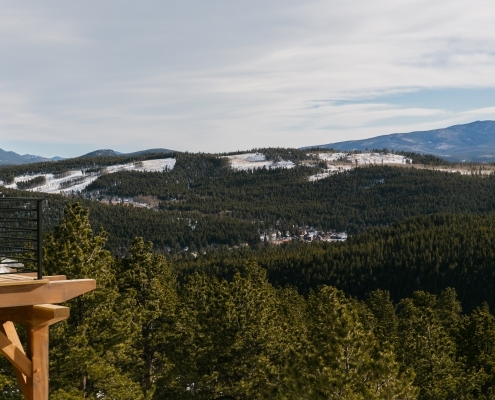 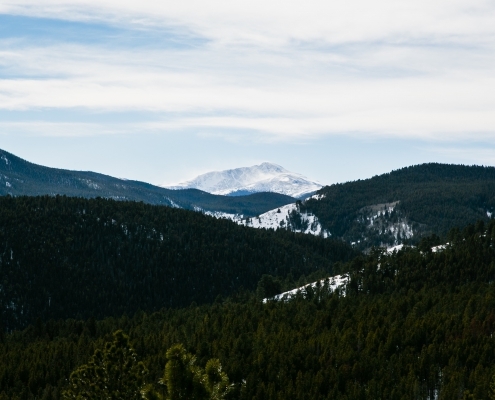 Colorado Timberframe has partnered with local home builder, Cornerstone Homes, to create a variety of flexible floor plans that respond to the lifestyle needs of an array of buyers. 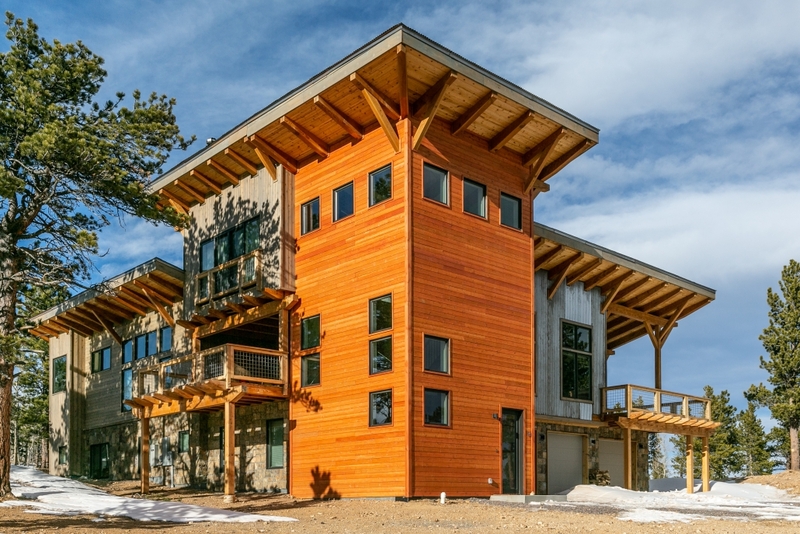 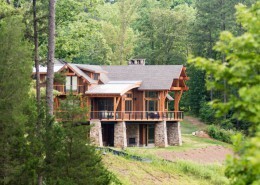 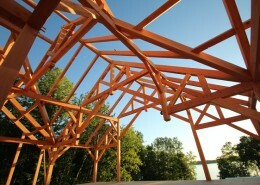 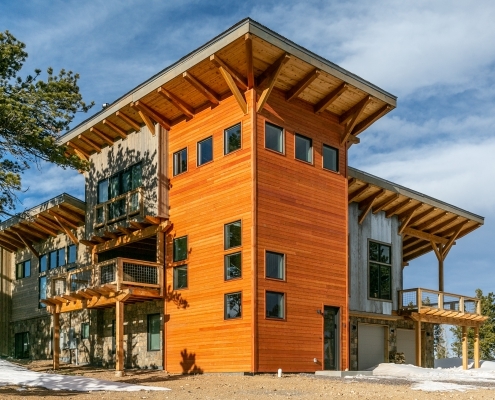 The timber frame architecture intended for each home will express the spirit of place, the unique qualities of location, and blend with the natural landscaping. 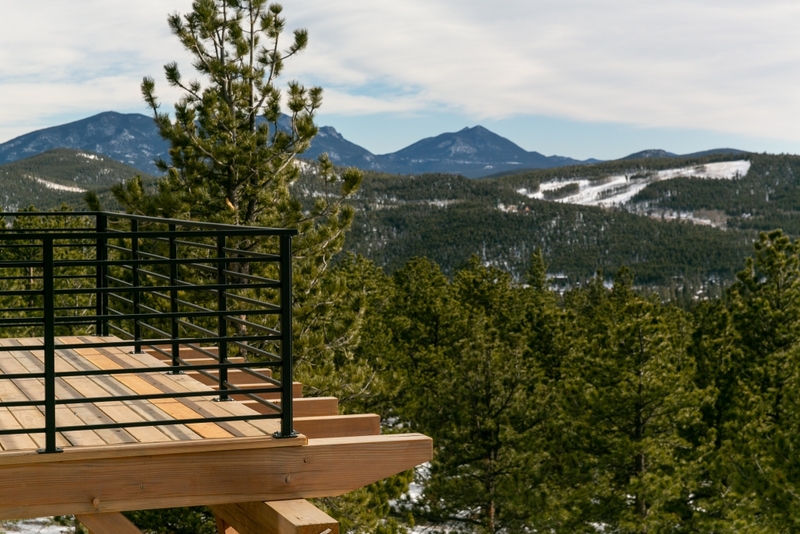 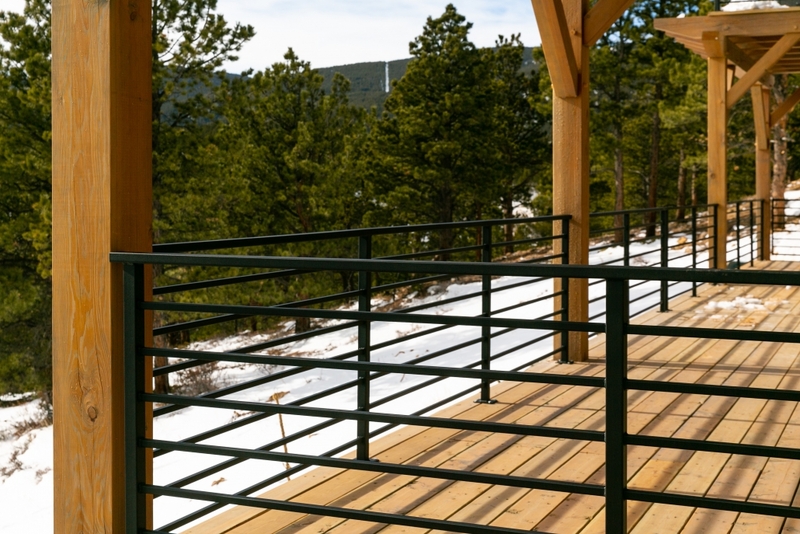 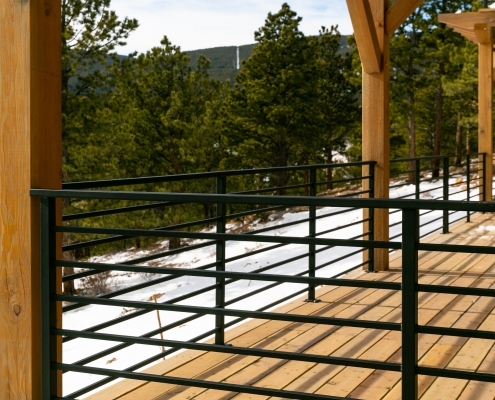 The contemporary concepts are designed to shelter homeowners from the weather while creating protected entry, deck and patio spaces that open to the sun and views. 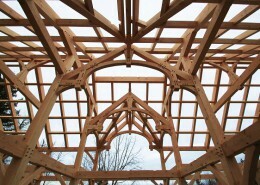 Generous roof overhangs provide protection from the summer sun and help manage heat gain to the interior spaces. 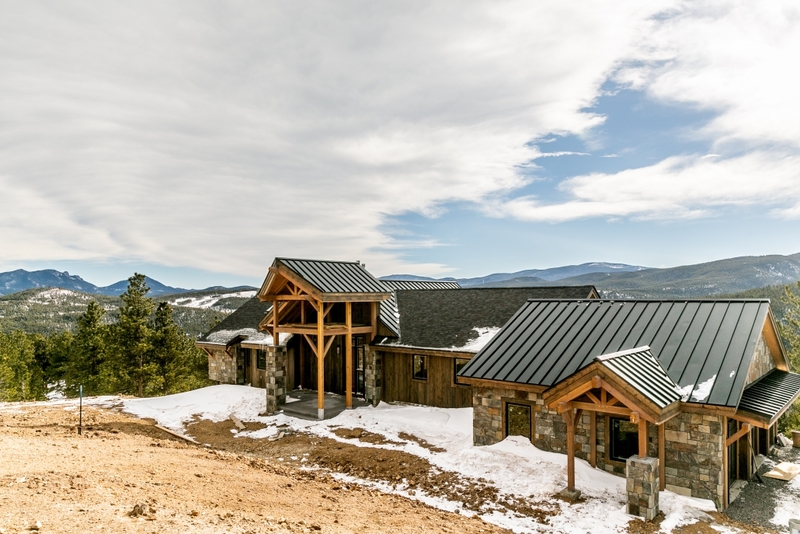 You will see both modern mountain and traditional style homes throughout the 34 available lots in this timber frame home community.